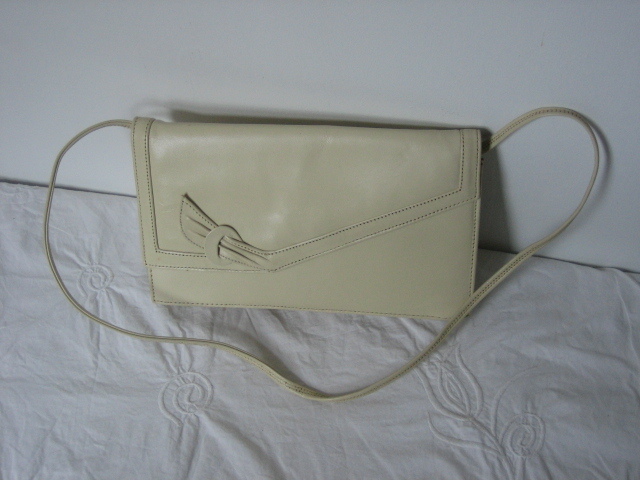 Vintage1960s vintage smart cream clutch/shoulder bag. 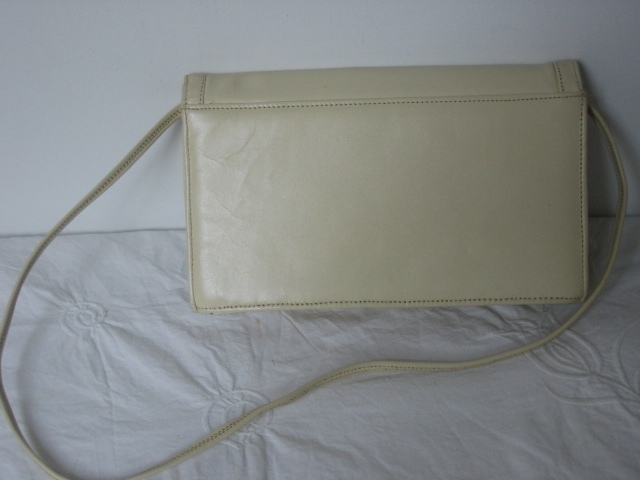 This is an extremely elegant and simple clutch bag with the option to attach a shoulder strap. 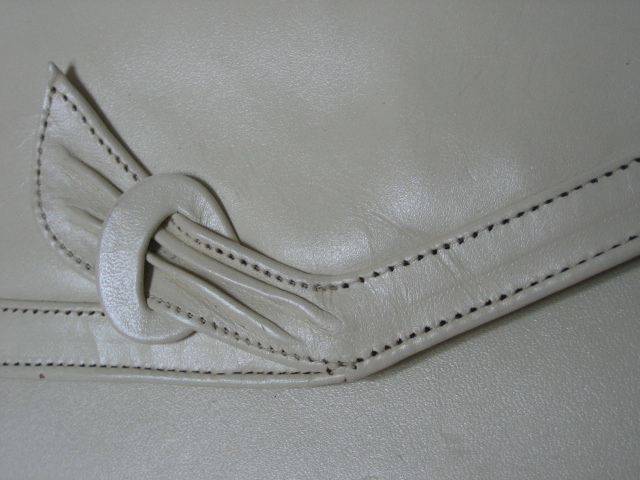 It's cream in colour, made (I think) of man-made materials, with an envelope-style flap with edging detail. 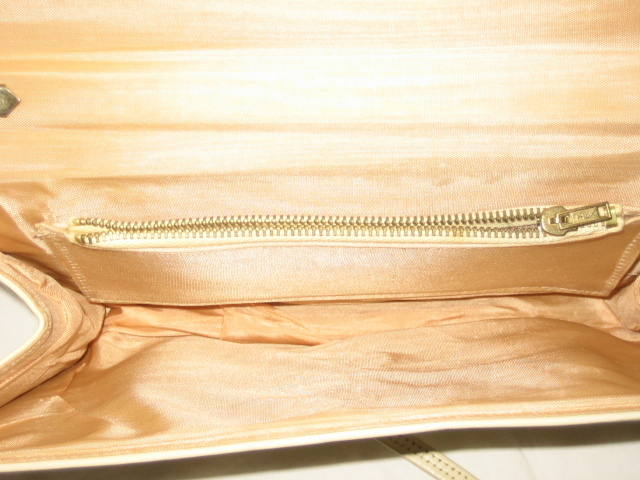 Lined with coffee-coloured satin, it has two internal pockets, one with a zip, and is in excellent vintage condition with very few signs of wear. There is no maker's label. 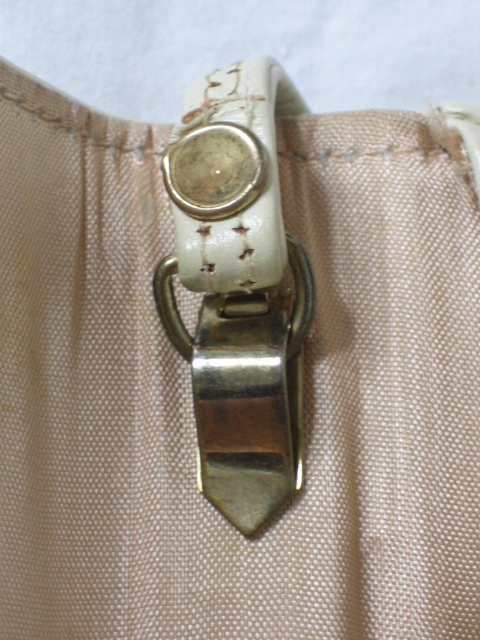 The shoulder strap clips into place on these little metal tags just inside the bag. 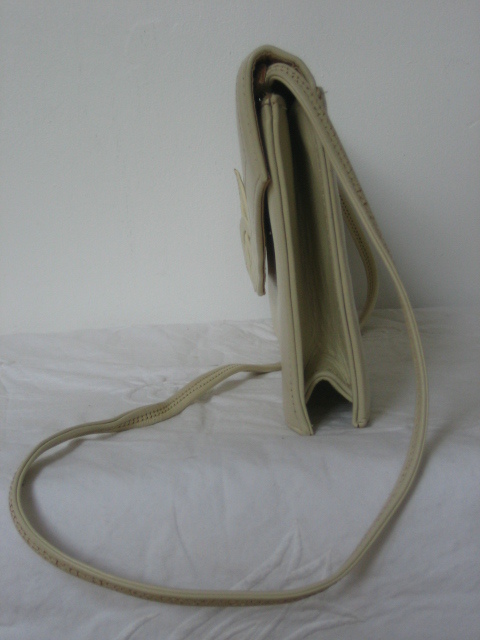 The strap is approximately 35 ins (89 cms) long, and the bag itself measures 10 ¼ by 6 ins (26 by 5 cms). The welt is approximately 2 ins (5 cms), so it will hold more than you'd think.